I began swimming at age 8 when I was taught by my grandfather. I first began teaching in 2011, and shortly after swam competitively on my high school team for two years. I’d say I’m very driven and I enjoy helping others achieve their goals. I teach children with a lot of games so that they enjoying swimming and want to come back to learn more. I believe this works because I understand the strokes well enough to build swimmers up through the most fundamental of bases. I enjoying teaching beginners because I like seeing the progression, but I also enjoy teaching more advanced swimmers to aid in their refinement of the strokes. I think water safety and survival is the most important thing a swimmer can learn no matter what they already know. Once a strong base of survival skills is built, all swimmers’ potential grows exponentially because of the confidence that comes with safety. I have experience teaching students with special needs and encourage parents to sign up with me. I believe to achieve a parent’s goals consistency and honesty are required of me to grow a students skill set. I am currently CPR, AED, First Aid, and Lifeguard certified. I have previously gone through the NYC Parks , YMCA, and American Red Cross lifeguard courses. 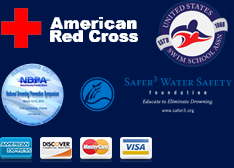 I have been trained by YMCA, American Red Cross swim instruction training courses and Making Waves Swim School.